ISEC is the annual conference of India SOFTware Engineering community (ISOFT), the Indian Chapter of the SIGSOFT Special Interest Group of ACM. The Sixth ISEC was held at New Delhi. ISEC will bring together researchers and practitioners from across the world to share the results of their work. 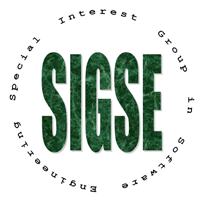 In cooperation with ACM SIGSOFT, some of the best papers from the flagship conferences FSE (Symposium on Foundations of Software Engg) and ICSE (International Conference on Software Engineering) will be presented as Keynotes/Invited papers in ISEC. ISEC 2014 will be held at Chennai.